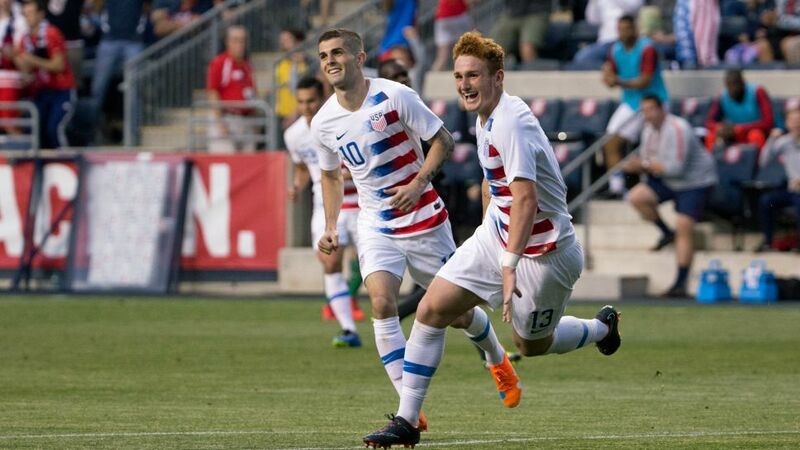 Werder Bremen youngster Josh Sargent is one of five Bundesliga-based players to have been called up by Dave Sarachan for the USA’s friendlies against Colombia and Peru later this month. Eighteen-year-old Sargent, who scored on his international debut against Bolivia in May, has been in impressive form for Bremen’s U23 team this season, plundering six goals in his 10 games to date. Sporting director Thomas Schaaf recently said the striker’s first-team debut with Die Grün-Weißen was “only a matter of time” in coming but the US have seen little reason to wait. “With Tim [Weah] and Josh, we’re still taking the long view,” Sarachan explained to U.S. Soccer. “We know that at both PSG and Werder Bremen, the competition for playing time is extremely difficult, yet both are gaining valuable experience at their clubs and their fitness and form are still at a good level. Borussia Dortmund star Christian Pulisic remains the youngest player to have scored for the USA since they instituted a professional league system following the 1994 FIFA World Cup, meanwhile. Pulisic, now 20, also had a direct hand in 11 goals in the USA’s ultimately unsuccessful attempt to qualify for the 2018 edition in Russia this summer. The attacking midfielder is back in the squad for the first time since June’s 1-1 draw with Venezuela. Fellow 20-year-old Weston McKennie of Schalke joins them in the squad, alongside John Brooks (Wolfsburg), Bobby Wood (Hannover) and former Bayern Munich winger Julian Green, who now plies his trade in Bundesliga 2 with Greuther Fürth.